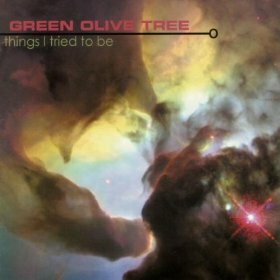 Green Olive Tree was formed in Cabot, Arkansas in January 1997 with drummer Justin Alexander, guitarist Jon Dodson, bassist Brett Latimer and vocalist Chris Latimer. After independently producing a recording of eight original songs, the band traveled extensively in Arkansas and surrounding states, building a following by playing for youth groups, schools and colleges. In February of 1999, Green Olive Tree recorded a full-length CD, “Psalm 52:8”. Individual tracks from this project were included on several compilation CD’s, receiving regional, national and even international distribution and attention. Throughout 1999 and 2000, the band toured in Arkansas, Missouri, Oklahoma, Tennessee, Mississippi, Louisiana and Virginia, playing for festivals, camps, churches, coffeehouses and clubs. The band has continued to experiment with a variety of musical styles, reflecting the varied tastes and influences of each member, all of whom contribute to the song-writing process. While each song has its unique flavor, the music remains true to its rock & roll roots.